Satellite navigation is such a vital part of day-to-day life that other countries of the world are planning to build up their own network of navigation satellites and move away from total reliance on the American system, GPS. As mentioned in my previous post, the GPS system is operated and funded by the US government. The first GPS satellite was launched in 1978 and, over the following years, more were launched – covering more and more of the Earth’s surface. In 1993 the system become fully operational when it had a full set of 24 satellites covering the entire surface of the globe. However the GPS signals were scrambled, making them available only to US military users who had the equipment to unscramble the signals. In 2000, following a decision by president Bill Clinton four years earlier, the signals stopped being scrambled and since then have been available for civilian use anywhere on the Earth. The lifetime of a GPS satellite is 12.5 years (Wall 2015) and the cost to build and launch a satellite is $200 million (see notes at the bottom of the post for more details). Satellites need to be launched constantly because once a satellite stops functioning it must be replaced, as it cannot be repaired. The total cost of keeping the GPS network up and running is around $1 billion per year, which works out at only $3 for each person in the US. I think that the US government will continue to operate and fund GPS as a free civilian service for the whole world, for the foreseeable future. However, they have the ability to deny use to a hostile country, should the need ever arise. One way in which access could be denied is by switching off the GPS satellites’ transmitters when they pass over particular areas of the world. Towards the end of the cold war the Soviet Union developed its own version of GPS called GLONASS, an abbreviation for “GLObal NAvigation Satellite System”. Like the American system, it was for military use only. GLONASS wasn’t fully completed by the Russian government until 1995 – four years after the breakup of the Soviet Union. The satellites only had a lifetime of 7 years and in the 1990s there was an economic crisis in Russia. So, as they began to fail they were not replaced. By the end of 2001, there were only 6 working satellites, and a minimum of 24 is needed to give full coverage of the Earth. In the 2000s the Russian economy improved and the funding to reestablish the service became available. The Russian government made the commitment that, like GPS, GLOSNASS would be freely available to civilian users all over the globe (Sputnik 2006). In December 2015, the system became fully operational again, with 24 satellites covering the globe. In fact. even before it was fully completed many smart phones already had ‘dual satellite chips’ which can receive both GPS and GLONASS signals. This provides greater accuracy because if a phone can’t receive a strong signal from GPS it can supplement this with signals from the GLONASS satellites. Like the US government with GPS, Russian governments have stated that their policy is that GLONASS will be freely available for civilian use for the foreseeable future. This cannot be absolutely guaranteed and it is possible that, if the political climate were to change radically, then either the US or Russia could restrict the availability of their systems. Current estimates suggest that 6 to 7% of the EU’s GDP depends on satellite navigation applications, including critical sectors such as energy, telecommunications and financial services. Therefore, if satellite navigation services in Europe were to be disrupted for even just a few days, the large-scale economic losses would be massive. 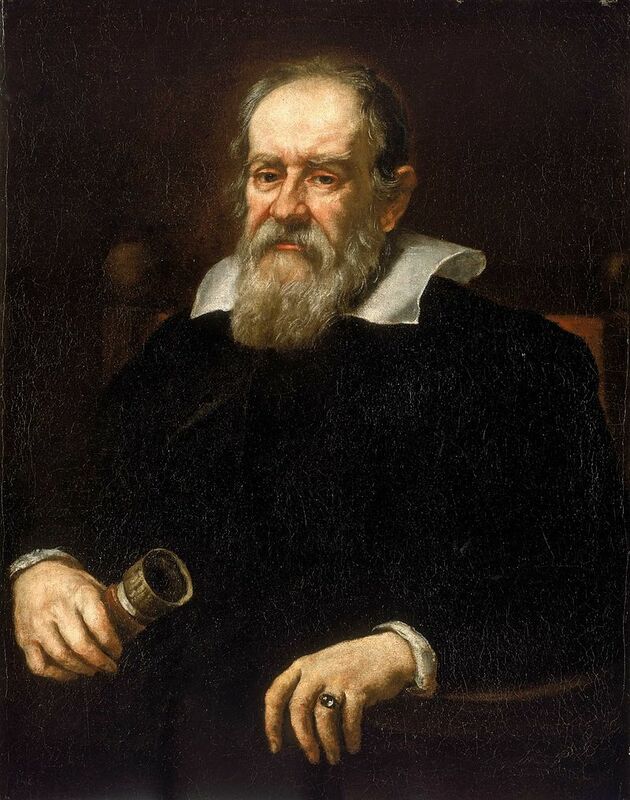 To address this, the EU announced back in 2002 that it would build its own satellite navigation system called Galileo after the famous Italian astronomer (shown below). Galileo was planned to be fully up and running by 2008 at a cost of 3 billion euros, but the project has been subject to numerous delays and cost overruns. Currently there are only 11 Galileo satellites operating, so the coverage is only partial, and it won’t be fully operational until 2020 (European GSA 2017). At the moment most smartphones can’t receive a signal from the Galileo satellites, but this will change over the next 5-10 years as Galileo becomes established and manufacturers move towards multi-satellite chips. In order to make it independent of the US, Russia and Europe, China too is building its own satellite navigation system called BeiDou, which it hopes to have fully operational in 2020. As also discussed in my last post, the typical power of the transmitter of a GPS satellite is only about 500 watts, similar to that from a mobile phone mast. However, a GPS satellite is at least 20,000 km away from a GPS receiver on the Earth’s surface. Therefore, as shown in the diagram below, by the time it reaches the Earth’s surface the signal has spread out over such a huge area that it is extremely weak. The signal received from a GPS satellite on an area 10 centimetres square on the Earth’s surface is about 0.0000000000000003 watts (or 300 billion billionths of a watt). This means that if someone were to transmit on the same frequencies as used by GPS satellites the transmitter power would need to be quite low, a small fraction of a watt, to block out or jam the much weaker signal from GPS satellites over a large area. If GPS signals were jammed, the effects could be very severe. Satellite navigation systems, including those used by the military and emergency services, would no longer work and many aircraft would not accurately know their position. 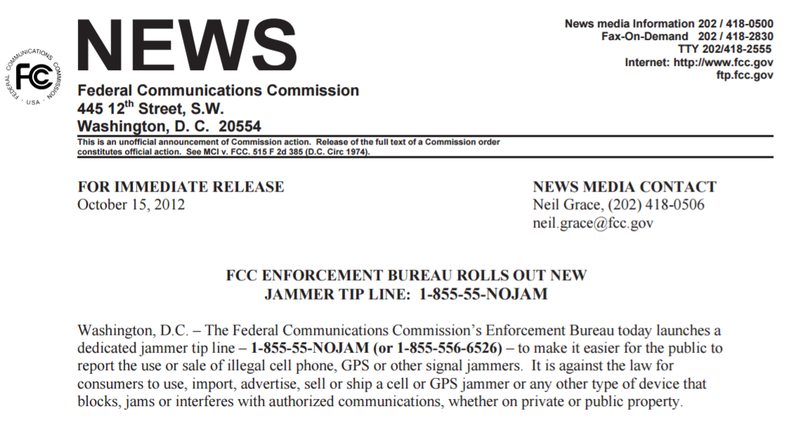 The potential impact is so serious that the US government has made the selling, marketing or use of any GPS jamming devices illegal, punishable by a fine of tens of thousands of dollars or imprisonment. 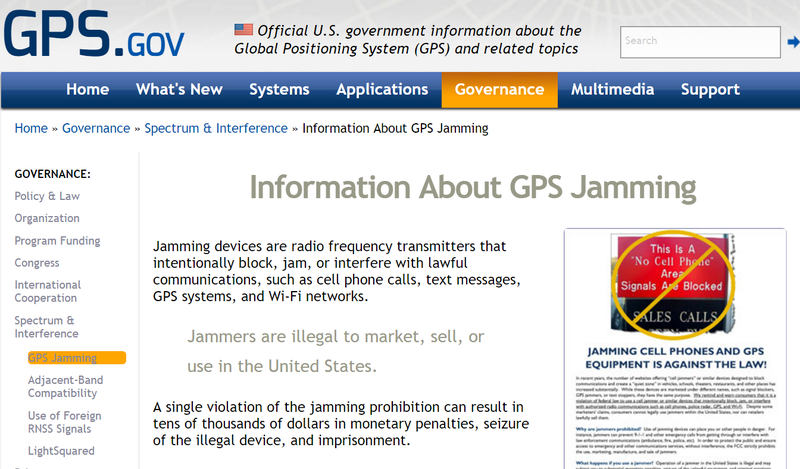 Since October 2012 there has even been a US government hot-line where the public can report anyone they suspect of using jamming equipment. However, it is unlikely that this would prevent jamming by a hostile foreign power. European GSA (2017) European GNSS Service Centre FAQs, Available at: https://www.gsc-europa.eu/helpdesk/faqs (Accessed: 23 January 2017). Sputnik (2006) Russia to lift Glonass restrictions for accurate civilian use, Available at: https://sputniknews.com/russia/2006111355588641/ (Accessed: 18 February 2017). Wall, M (2015) US Air Force Launches Advanced GPS Satellite into Orbit, Available at: http://www.space.com/28926-air-force-launches-gps-satellite.html (Accessed: 18 February 2017). 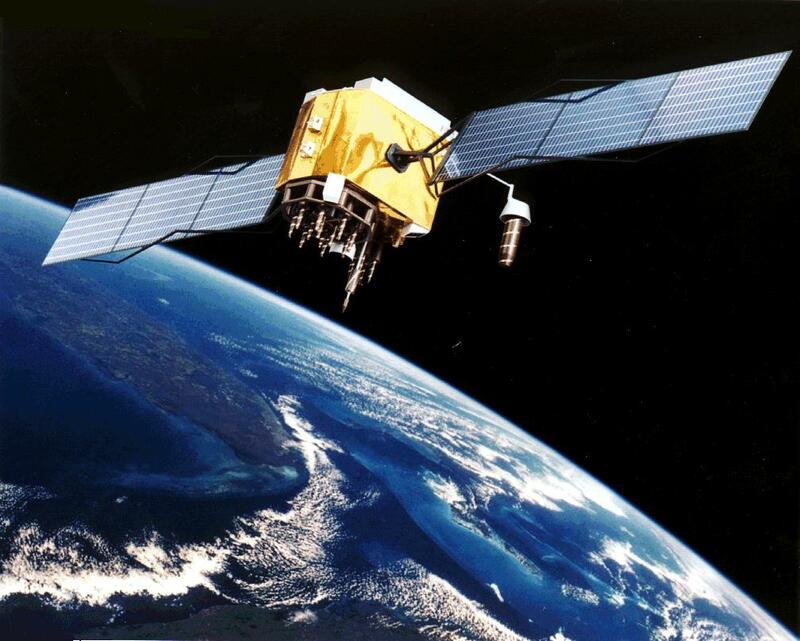 Over the past 40 years there have been three generations of GPS satellites. Known as Block I, Block II and Block III. Each generation is larger, more sophisticated and has a longer lifetime than the previous one. Block I satellites were launched between 1978 and 1985. They were only designed to last 5 years and none of them are still operational. Block II satellites were launched between 1989 and 2016 The cost of $200 million quoted refers to a Block II-F satellite, the latest versions of the Block II generation. The launch of the latest GPS satellites, Block III, is planned for mid 2018. 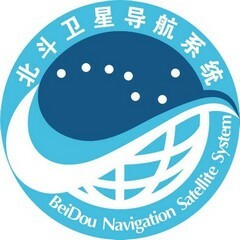 In fact many smartphones already incorporate Beidou in addition to GPS and GLONASS receivers. Diversification is a very good thing in this instance. An interesting looks at satellite navigation!